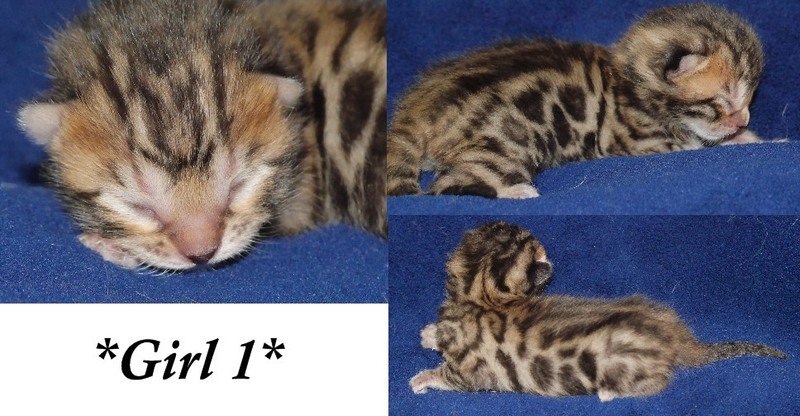 We love her gorgeous face, she will look a lot like her mom Barchen but with darker coloration! 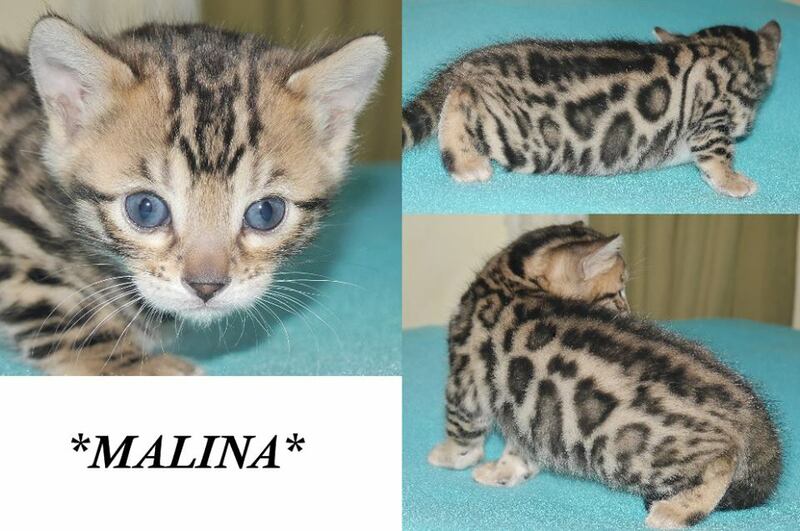 Malina has larger rosetting and great solid structure for such a young kitten. And glitter? She covered there! Malina also has the great color of her parents just like her sister Hygge. 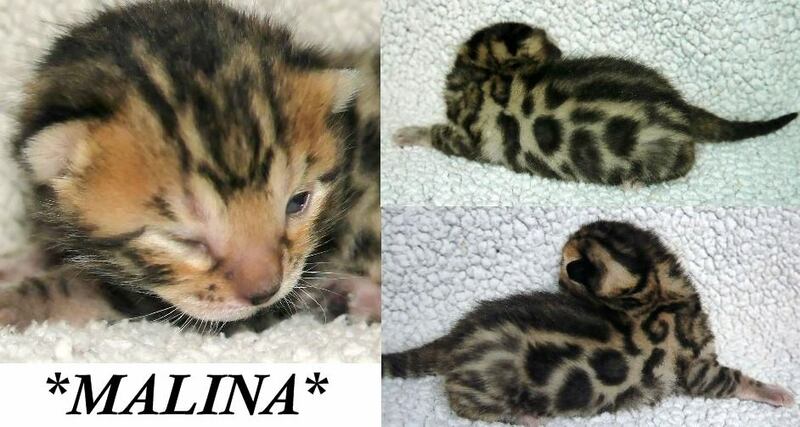 Malina’s rosetting will be a bit bigger than her sister’s with a bit more acreage (space between rosettes). 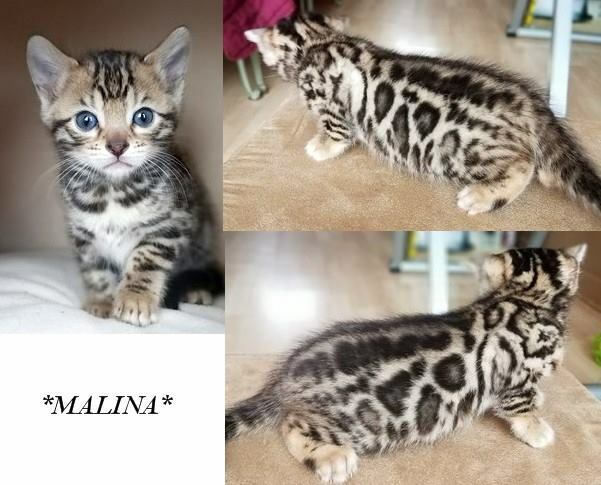 This entry was posted in Bengal Kitten Gallery and tagged Bengal kitten, brown rosetted, Female kitten, Malina. Bookmark the permalink.